Glub glub! 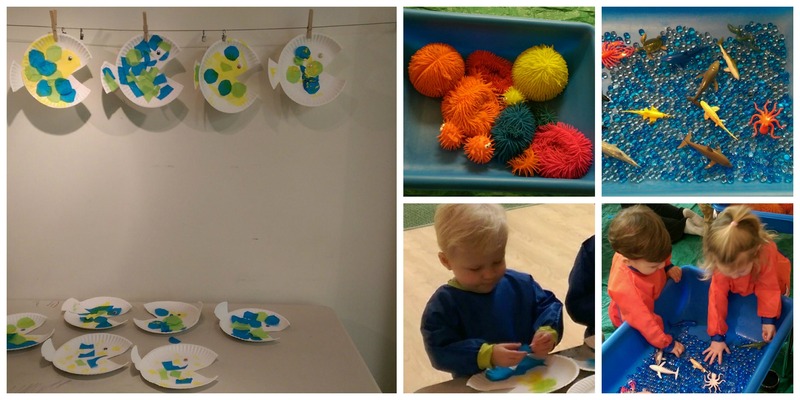 We explored the ocean deep in Messy Munchkin Art Class with sensory bins and a fish craft. Then we swam underneath the parachute’s waves! 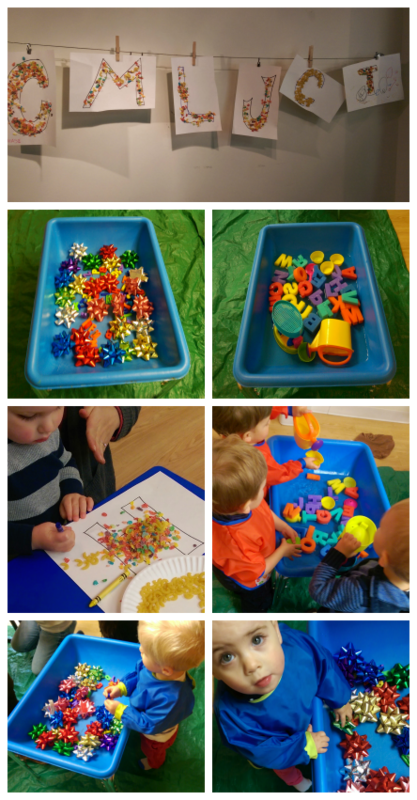 The following week we played with magnet and sponge letters in our sensory bins, and crafted the first letters of our names into textured noodle and cereal masterpieces! Categories: Activities, News | Tags: alphabet, art, autumn, babycakes, boston, bugs, charlestown, children, crafts, education, fish, halloween, instructor, Kids Music by Marcie, marcie, messy munchkins, ocean, play, preschool, sandbox, sensory bin, spaghetti, spiders, toddler, veggies, water | Permalink. Messy Munchkins brought the North End into BabyCakes of Charlestown today! 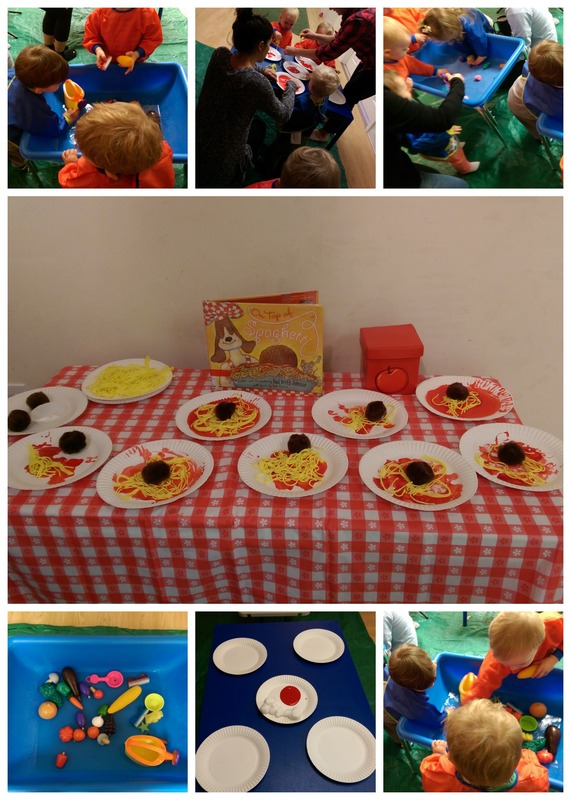 We washed veggies, crafted spaghetti and tried not to sneeze! On Halloween, we had an icky spooky Messy Munchkin Art Class, with bins of bugs and brains. We made spider webs, built a haunted house, and read a funny halloween story. 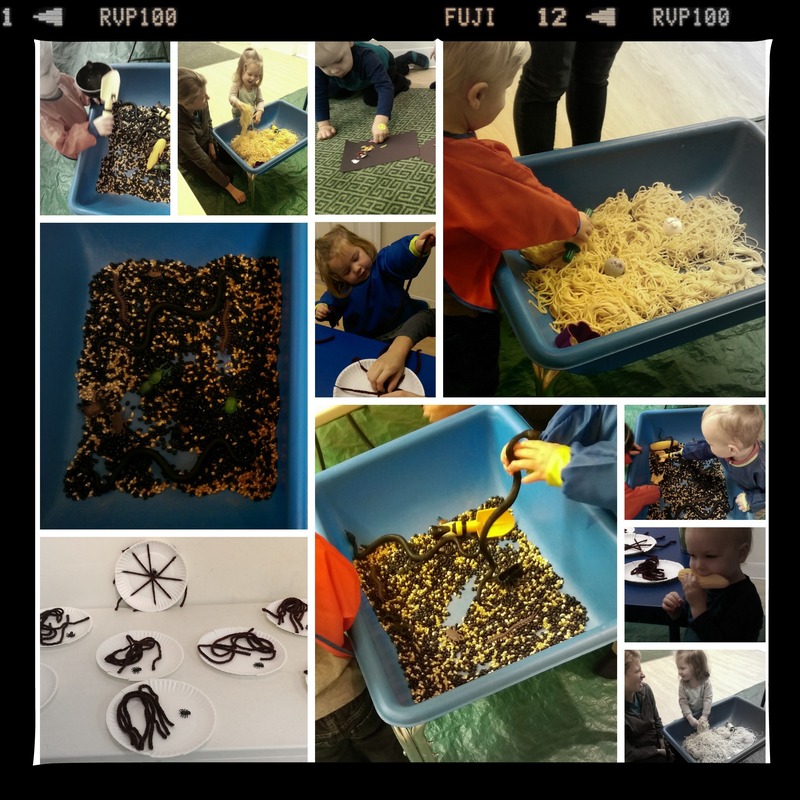 Categories: Activities, News | Tags: art, autumn, babycakes, boston, bugs, charlestown, children, crafts, education, halloween, instructor, Kids Music by Marcie, marcie, messy munchkins, play, preschool, sandbox, sensory bin, spaghetti, spiders, toddler, veggies, water | Permalink.